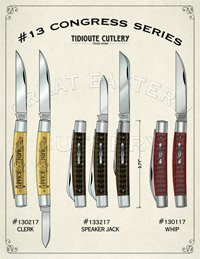 Great Eastern Cutlery has been a very prolific manufacturer of new & different knife patterns. The company assigns a unique pattern number to every new frame style it comes out with. This page lists most of the patterns GEC has made. We tried to include pictures & descriptions for each pattern, but it is hard keeping up, so some are likely missing. The sheer variety of knives Great Eastern Cutlery comes out with make them a great choice for both collectors & users of knives. 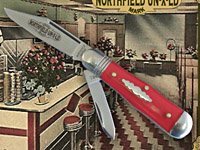 If you can’t find an appealing pattern for looks or use, you surely must not like traditional folding pocket knives. 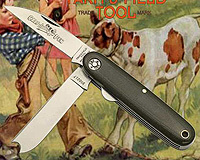 Make sure to frequent the AAPK member stores to find some of your favorite GEC knife patterns to buy on occasion. 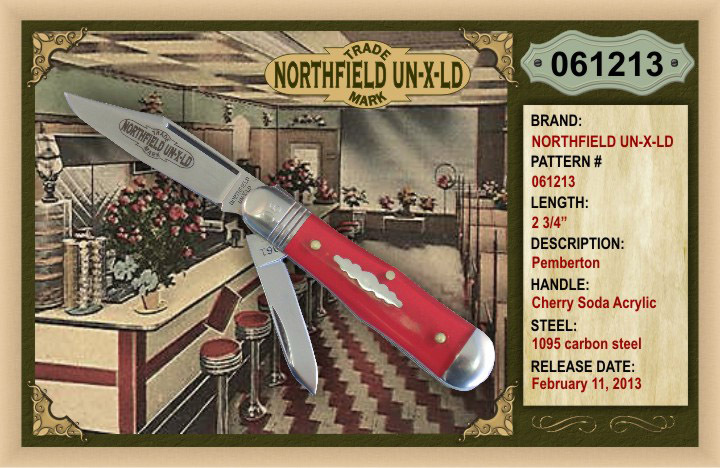 GEC’s 06 pattern is a 2 3/4″ small swell center coke bottle style Jack knife that was first introduced in 2013. They were made in two blade & single blade variations. The first year’s production all had clip point master blades & pen secondary blades when present. You can find these handled in genuine stag, wood, bone & a variety of acrylics. GEC’s 09 pattern is a 2 7/8″ sleeve-board style pen knife that was first introduced in 2014. The first year’s production all had spear point master blades & sheep-foot secondary blades. The liners were scalloped; making them quite attractive. None were not made with shields in 2014 & they were produced in a variety of handle materials including acrylic, genuine stag, mother of pearl, abalone, smooth bone & jigged bone. GEC’s 12 pattern is a 4″ medium toothpick style knife that was first introduced in 2009. They come in a few different configurations. 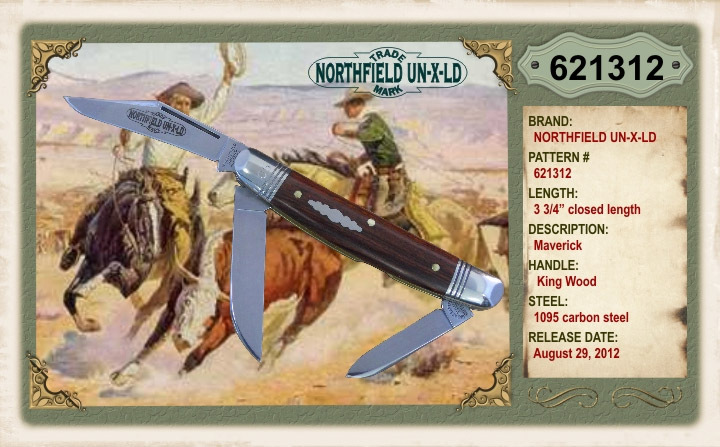 Most have a single clip point style blade, but some were made with two blades; a clip master blade & a pen secondary. Others were made barn-door hinge style which GEC called a Templar. 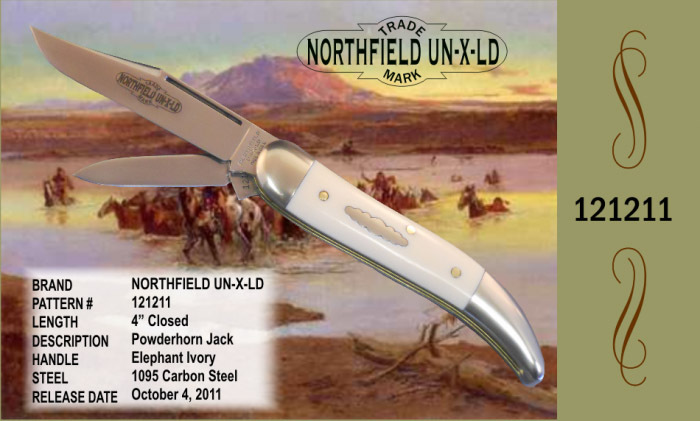 GEC’s 16 pattern is a 3 1/2″ canoe style knife that was first introduced in 2012. Great Eastern called them “Little Indian Girl Canoe” knives. All have a spear point master blades & a pen secondary blade. You can find 2012 versions of these handled in genuine stag, ebony wood, snake wood, tulip wood, turquoise, bone & a variety of acrylics. 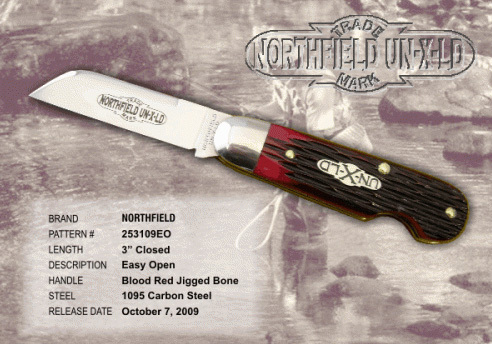 GEC assigned their first Barlow knife pattern # 25 in 2008. 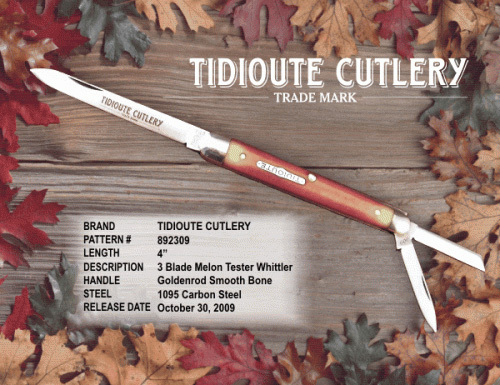 It is a 3″ knife with many different blade configurations. They can be found with & without the Easy-Open feature as well. 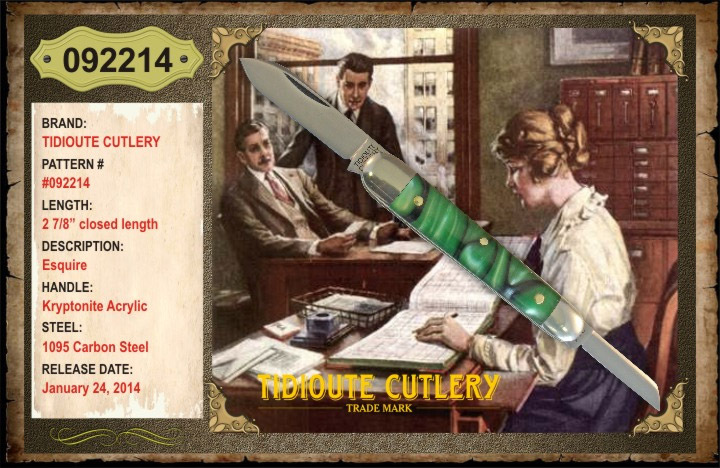 GEC’s 26 pattern is a 3″ sleeveboard style knife that was introduced in 2009. 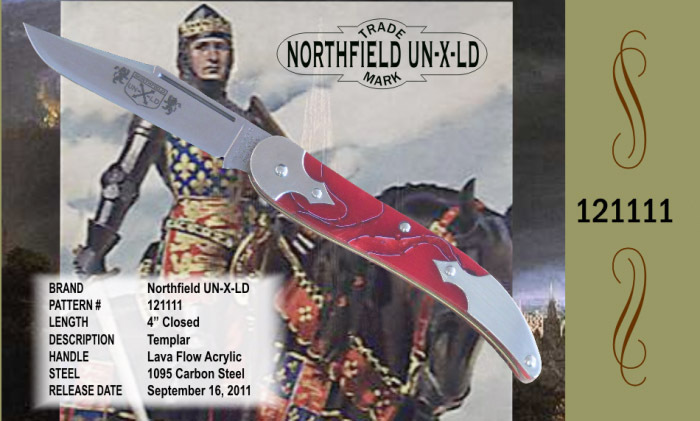 You will find this unique knife with several different blade configurations. 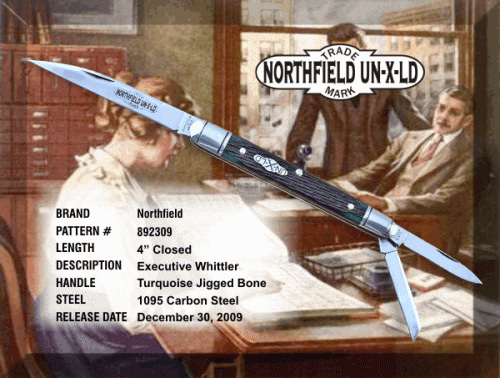 The pictured knife has a Wharnecliffe master blade & coping secondary. GEC called that config a “Little Carver Sleeveboard”. The most common blade configuration is a spear master blade with pen secondary. 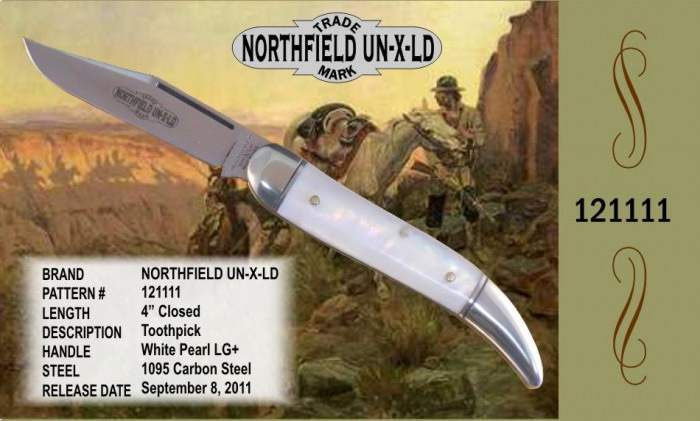 GEC’s 28 pattern is a leg knife style that measures 3 1/4 inches closed. It was first introduced in 2011. 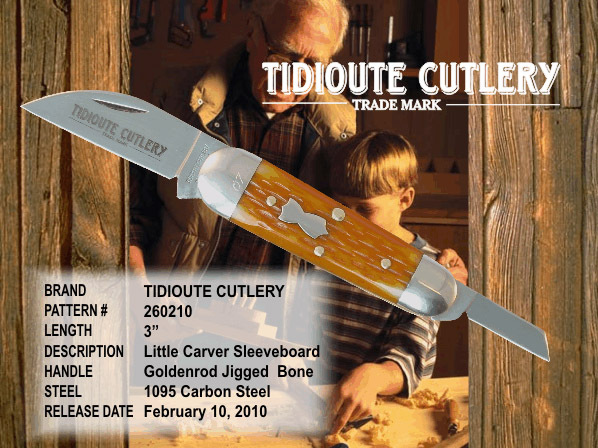 The 33 pattern is a small swell center whittler style knife that measures 3 3/8″ long closed. It was introduced by Great Eastern in 2011. You will find these in two & three blade configurations. Some were made with bails. The 35 pattern is a cigar framed knife that measures 3 3/4″ long closed. It was first introduced by Great Eastern in 2016 as a Harness Jack; a special factory order by Charlie Campagna. The first Harness Jacks have a spear & punch blade that extend from opposite ends & share a single backspring. 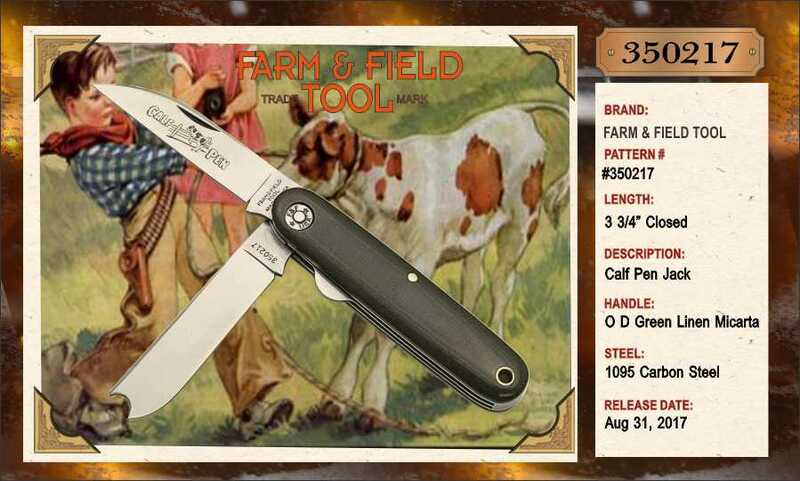 In 2017, GEC came out with a version of the 35 pattern that was given the name “Calf Pen Jack”. This version has two back-springs & a liner-lock. The blade configuration included a wharncliffe master blade and razor secondary. 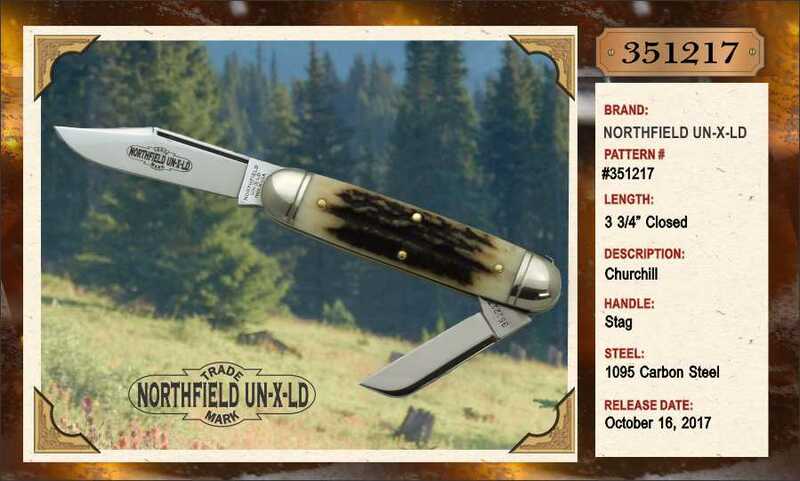 Later in 2017, GEC released a third version of the 35, which was given the name “Churchill”. The churchill has a clip primary blade and a sheepfoot secondary that extent on oposite ends and share a single backspring. 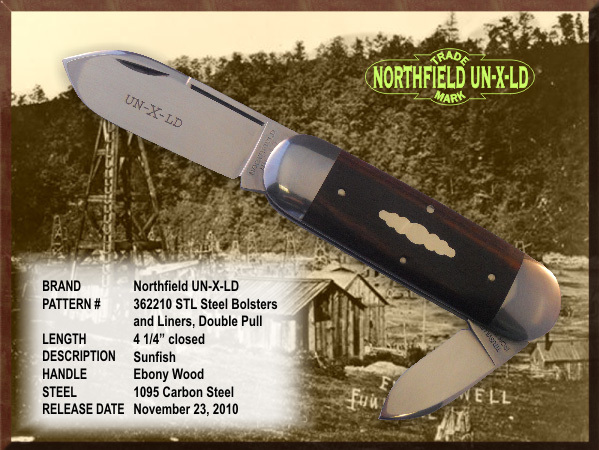 GEC’s 36 pattern is a 4 1/4″ large double end Jack knife that was introduced in 2009. This pattern goes by many different names among collectors. 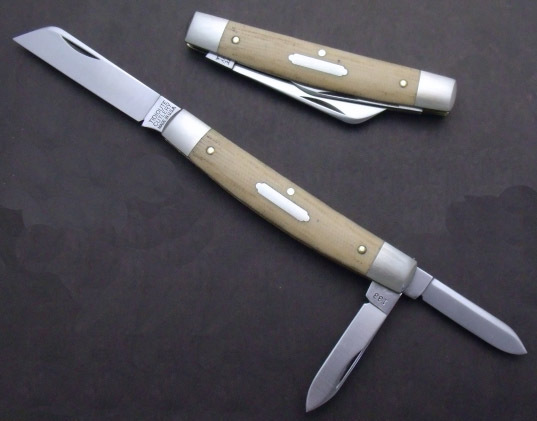 GEC called its first released versions sunfish knives. 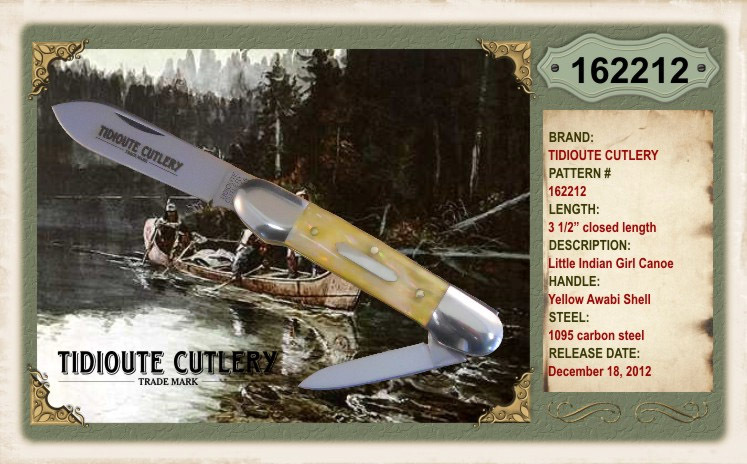 Many collectors call them Elephant toenails, vest pocket ax, rope knives & more. I think the most widely used name is Elephant Toenail. Regardless of name, the 36 pattern was GECs first version of this style. Shop for elephant toenails in the AAPK store. 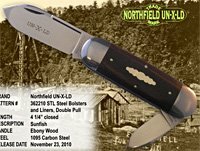 GEC’s 47 pattern is a 3 7/8″ sway-back style Jack knife that was first introduced in 2012 under its Farm & Field Tool brand as a Hayn’ Helper. 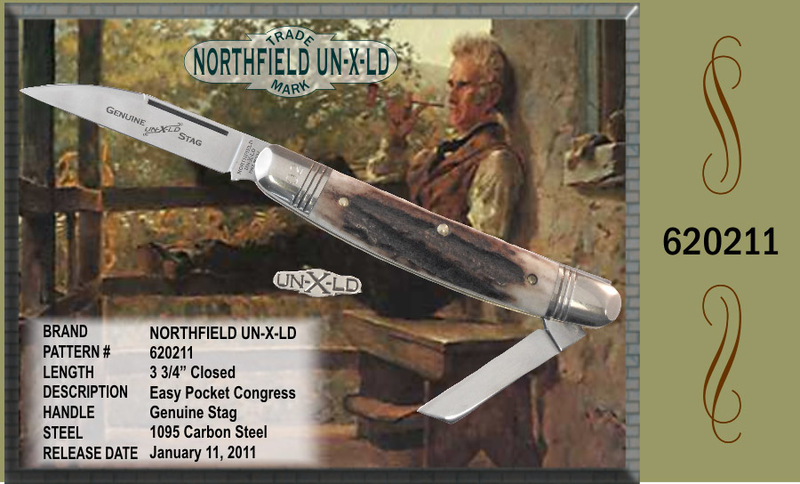 In 2014, GEC released the pattern under its traditional Tidiute & Northfield brands as a Viper. 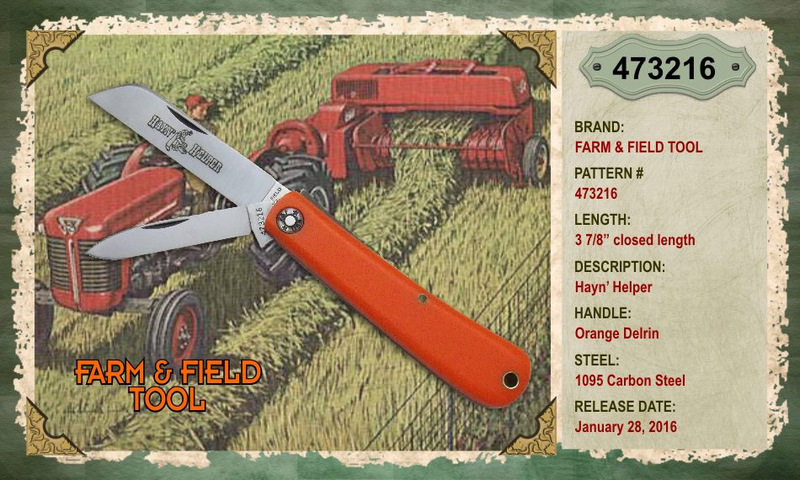 The Hayn’ helper version was made in two blade & single blade variations. They can be found with a single hawk-bill blade, a single large sheep-foot, or a two blade sheep-foot that has a pen secondary. Considered a work knife, you will find these handled in more rugged materials like Delrin, Micarta, & acrylic in a variety of colors. 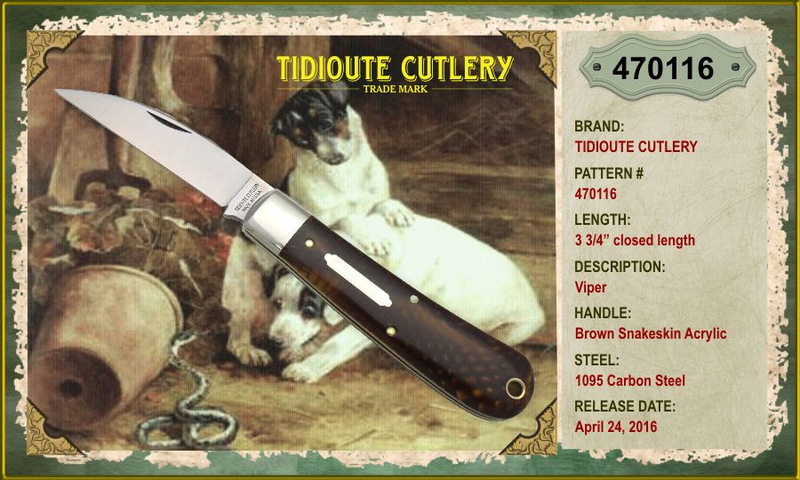 The viper version was made with a single Wharncliffe style blade & was often dressed in a larger variety of handle covers that include bone, elk antler, woods, a variety of acrylics & more. This pattern was designed on a 3 5/8″ frame. The first 61 pattern congress versions came with four blades; two sheepsfoot blades & two pen blades. These were introduced in 2009 & was the first congress style knife Great Eastern ever made. 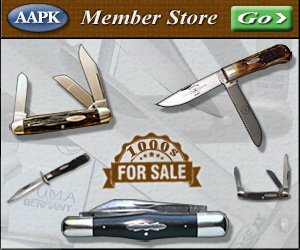 Shop for congress knives in the AAPK store. This pattern was designed on a 3 3/4″ frame. The first 62 pattern congress versions came with two blades that opened on opposite sides. The configurations of the blades varied from wharncliffe / coping, clip point / spear, etc… The Maverick version had three blades. 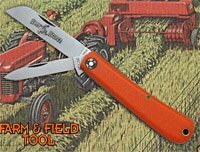 Clip master blade with sheepsfoot & pen secondary blades. 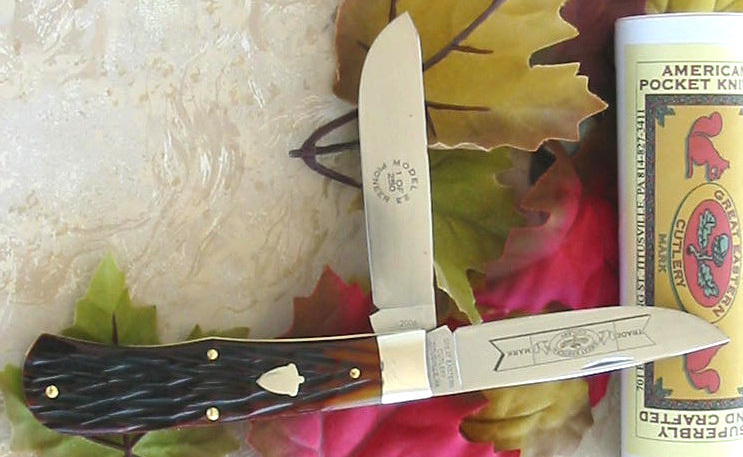 GEC’s 89 pattern is a 4″ melon tester style knife that was first introduced in 2009. The first year’s production all had three blades & are thus described as whittlers. Some of these first year whittler had spear point master blades & others had Wharncliffe master blades. All had pen & coping secondary blades. 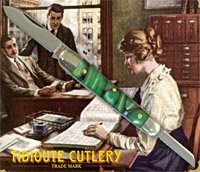 The spear point version was given the name melon tester whittler & the Wharncliffe master blade version was given the name executive whittler.